Click on the highlighted links below to read more. Watts Mill Bridge being restored. Flensburg Files’ survey on Automatic Donors after Death. And a quick update on the historic bridge on the island of Crete that was washed away due to flooding. ALSO: The Bridgehunter’s Chronicles is looking into the suspicious loss of subscribers on its regular wordpress page. On Saturday the 16th, the number of subscribers went from 901 to 201 for unknown reasons. It is possible that subscribers may not be getting their articles on a regular basis. If you are one of them, please resubscribe via E-Mail or follow the Chronicles on the social network platforms. We would like to make sure everyone is connected and are getting the Posts and the like on a regular Basis. The Slogan is “No Reader/Subscriber left behind.” For those who are interested in following the Chronicles, please spread the word and encourage others to join. Alberthafen Brücke in Dresden to be rehabilitated. Project completion in 2020. Rabenstein Viaduct in Chemnitz has enough funding for its own rehabilitation. Question: when? Historic bridge at train station a subject of satire and debate over its future. Click on the headlines to read more. Three of the articles are in German but an English-speaking article will come in the Chronicles. 150-year old covered bridge loses roof in snow collapse. To be rebuilt pending on degree of damage. ZUMBROTA, MINNESOTA (USA)- Record-setting February snowfall in the Midwest is starting to take its toll on its infrastructure due to the development of potholes and cracks on the roads. It is also taking its toll on the architecture, for too much snow on the rooves of houses and covered bridges- especially heavy, thick snow- can cause a roof to cave in. Ask the people in the town of Zumbrota, located between Cannon Falls and Rochester in Goodhue County in southeastern Minnesota. Their prized centerpiece of the community of over 500 inhabitants has an uncertain future as the Zumbrota Covered Bridge partially collapsed over the weekend. Built in 1869, the covered bridge is a Smith through truss, which is similar to a Lattice truss with diagonal beams criss-crossing each other, except its outer diagonal beams represent an end-post angled at 30°. The bridge was rehabilitated in 1932, 1950 and again in 1997, when the 120-foot long structure was moved 100 yards downstream to a park, which is situated just off Hwy. 58. It had previously crossed at Main Street. The park covers much of the eastern shore of the North Branch Zumbro River and provides people with some recreational possibilities. The structure has been listed on the National Register of Historic Places since 1975. Even though there had been another covered bridge of its kind built for a railroad north of Zumbrota, this covered bridge is the last one in service in the state of Minnesota. As you can see in the Picture above, presented by mayor Bradley Drenckhahn, this was not what people had expected from the bridge. This was taken on the 24th, just after the roof of the covered bridge caved in, which had happened sometime overnight. Fortunately, no one was injured. It is unclear if the center pier, built the same year the covered bridge was relocated, was affected by the collapse. The degree of the collapse will be inspected by transportation officials. The fortunate part is that the bridge is insured and town officials will rebuild the bridge once the snow has melted. The question is: just the roof or the whole structure? This is important for it could affect the upcoming events commemorating the covered bridge’s 150th birthday. According to its website, the covered bridge festival will take place on June 15th and 16th, whereas the birthday celebrations will be August 3rd and 4th. Both will take place at the park. How the collapse and the subsequent reconstruction will affect the festivities remain unknown. A link to the covered bridge website is available and can be clicked here. The Chronicles will keep you posted on the latest on this bridge. DES MOINES, IOWA (USA)/ GLAUCHAU (SAXONY), GERMANY- It has been almost six years since the closure of the Fifth Avenue Bridge, spanning the Raccoon River at the confluence with the Des Moines River at Iowa’s state capital. 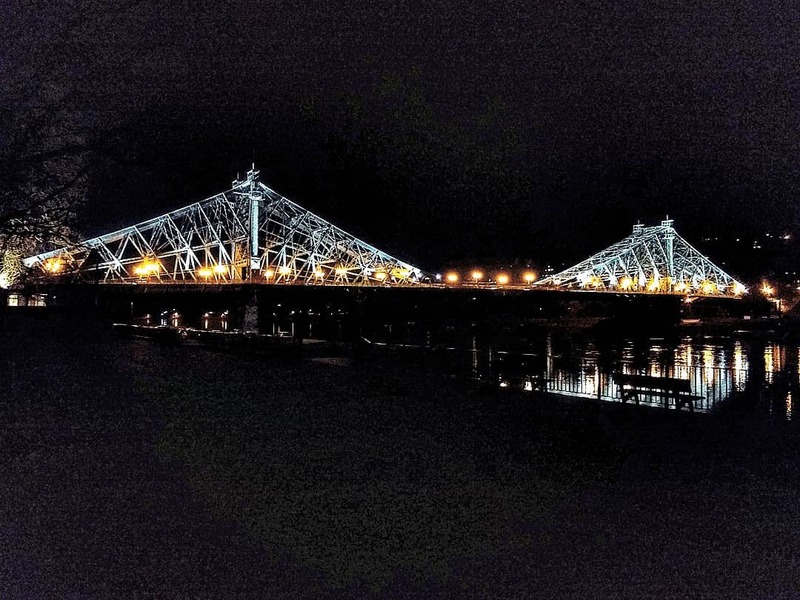 It has been five years since the creation of the social network platform devoted to saving the three-span Pratt through truss bridge, nicknamed as the Green Bridge, which was built by local, but well-known bridge builder, George E. King in 1898. And lastly, it has been three years since the reopening of this historic bridge and with that, two years since the introduction of new lighting. Quite an achievement for one bridge which has received the support of over 1300 people since its launch. Now the facebook page Save the Fifth Avenue Pedestrian Bridge (Green Bridge) has reached the crossroads and we need your help. There are some bridges in and around Des Moines that are being targeted for replacement, some them have already been approved. At the same time, articles, postcards and other photos on these structures have been found and posted on multiple websites and facebook pages. The Lost Des Moines facebook page is getting bigger and bigger, with more and more relicts of the past having been met with the wrecking ball. And with that, the bridges as well. After all, they are just as important to the history and heritage to Des Moines as the historic buildings themselves. Therefore, the Chronicles would like some input regarding the Green Bridge page. There are ……. Options. You should decide what to do there. Option 1: Do nothing. The Green Bridge page would remain as is, and photos and info on the bridge would be added from time to time. Option 3: Change the page and focus on the historic bridges in Iowa, past and present. Based on the Lost Places in Iowa facebook page, this one would focus on historic bridges in the state, past and present and would welcome the items mentioned in Option 2. Option 4: The same as in Option 4, but it would focus on the Bridges along the Des Moines River from its starting point in southwestern Minnesota until its confluence with the Mississippi. Option 6: Shut it down and archive it. This would be the last resort. What do you think? Click on the ballot below and spread the word. The voting will close on 1 April with a decision to follow afterwards. 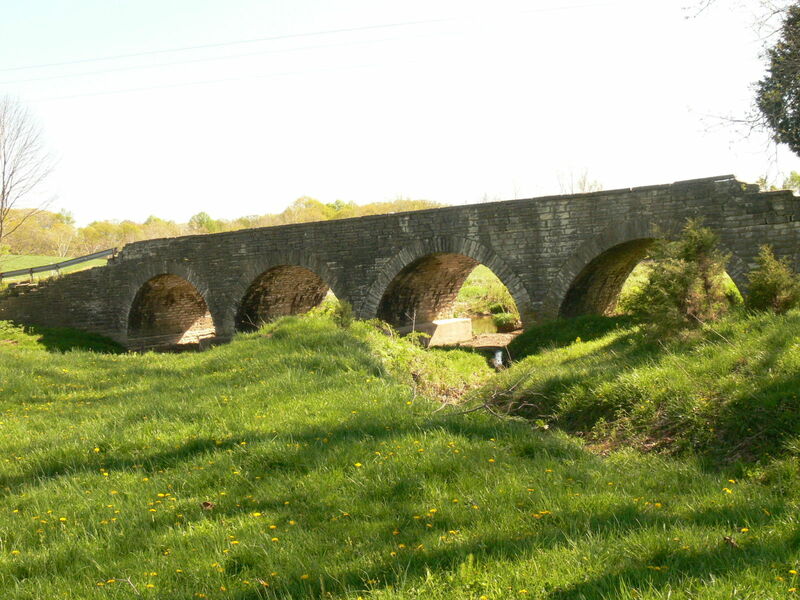 Social networking has played a key role in preserving many historic bridges in the US and beyond, as it has served as a platform for ideas and debate. It is hoped that the Green Bridge facebook site continues operating as it has been, but perhaps under a different name and format. The question is how? And this is where you come in. This 108th mystery bridge provides us with what is left of a historic bridge that should never have been destroyed. As of 30 January, 2019, this bridge is no more. During the night, a truck driver was using his GPS device which took him to this bridge: The Dale Bend Bridge. What do we know about this bridge? It spanned the Petit Jean River on the same road bearing the bridge’s name, approximately 12 miles north of the nearest town of Ola, in Yell County, Arkansas. The bridge was a pin-connected Pratt through truss bridge with A-frame portal bracings and V-laced vertical beams. According to the records, the 120-foot long structure was built in 1930 by the Vincennes Bridge Company in Indiana. Yet the date of 1930 seems to be a common number used to describe the bridge date, when in all reality, the structure is much older. Research has proven that pin-connected trusses, characterized by its beams being fastened by bolts, were phased out in favor of riveted or even welded truss bridges by 1915, for reasons that all state transportation departments created standardized truss designs, which were supposed to be sturdier and better able to carry increasing traffic in numbers, size and volumes. That means, truss designs with pinned connections were considered obsolete for reasons that they would no longer able to fulfilled the aforementioned standards. 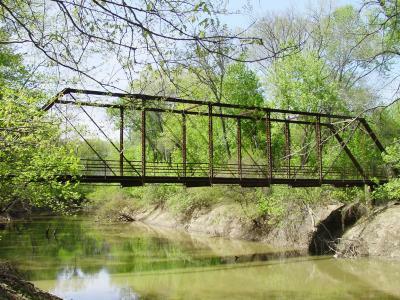 Yet during the 1930s, existing pinned connected truss bridges that used to serve main highways but still had some use left were relocated to secondary roads which were less traveled. There, they would serve a “second” life until they were considered obsolete and were either replaced or converted into recreational trails. The Vincennes Bridge Company existed from 1898 until its reorganization in 1932, when the name was changed to Vincennes Steel. It continued to operate until it was folded into the Wabash Steel Corporation in 2006. 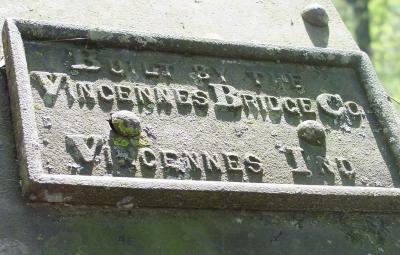 The plaque on the bridge’s endpost had the following inscription: Built by the Vicennes Bridge Company, Vicennes, Ind. 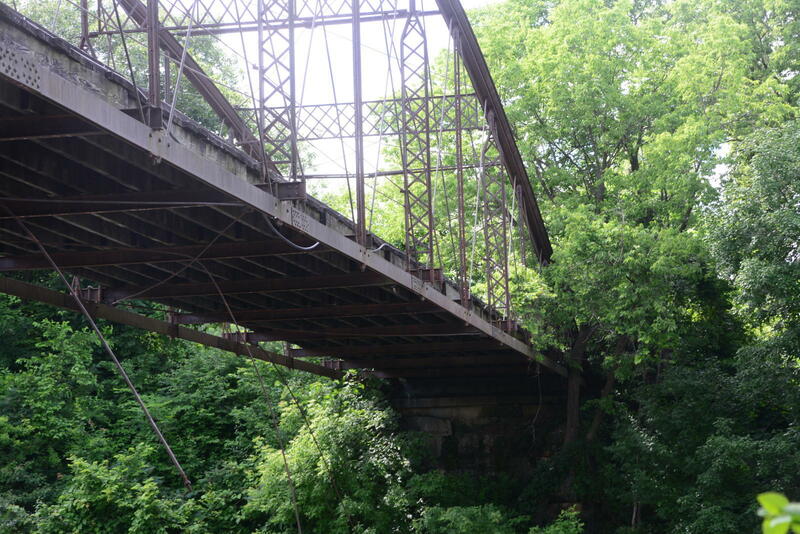 That means between 1898 and 1915, the Dale Bend Bridge was built, originally. The question is where? And when was this truss bridge relocated to its current spot? While we won’t know now because of the destruction of the bridge, it would be a benefit to provide a closure to the fallen structure so that a memorial plaque is constructed at the site where a new bridge will soon be built. 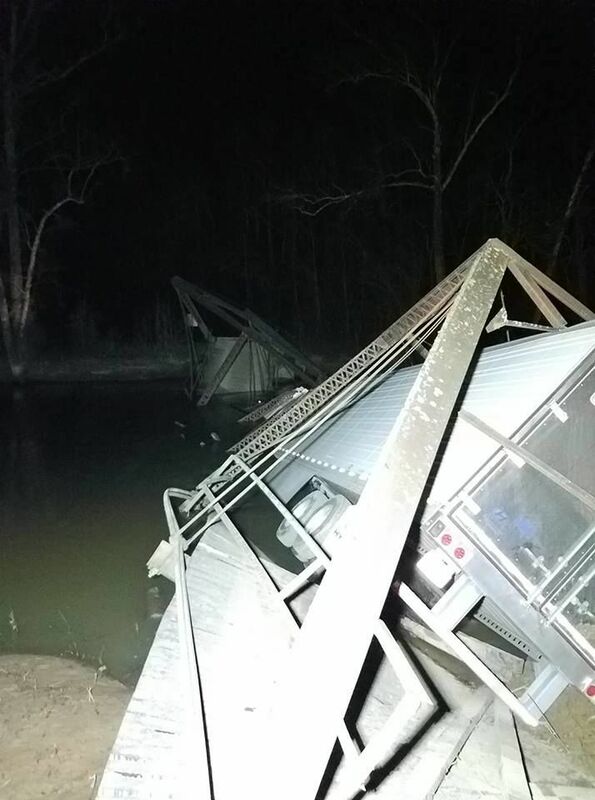 Note: The Dale Bend Bridge collapsed on the night of 30 January, 2019 at around 8:00pm. A truck driver drove his semi-truck across the bridge until the trailer was lodged into the truss span itself and the structure collapsed completely. He escaped unhurt but was later cited for reckless driving and destruction of property. Both the truck and the bridge were considered a total loss. The bridge had been listed on the National Register of Historic Places for eight years prior to the tragedy.